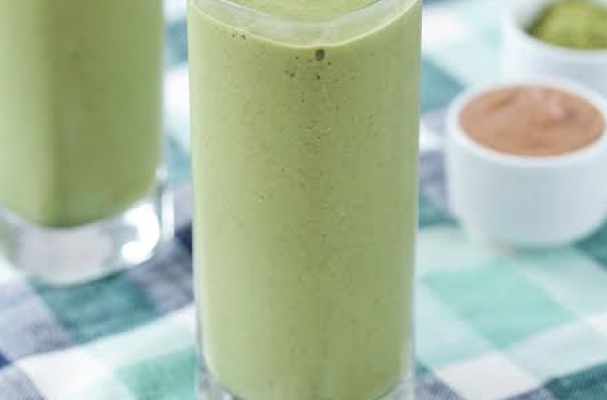 Almond matcha superfood smoothie from Against All Grain packs a nutritional punch. Green smoothies usually fall into one of two categories: watery and juicy or thick and creamy. This recipe is part of the latter group. The smoothie is whipped up with almond milk, almond butter, chia seeds, kale, fruit and green tea powder. If you really want to sky rocket the protein content, you can always add a couple scoops of hemp seed powder. This is the last article in our series with Danielle Walker but make sure to check out her other amazing gluten-free recipes on this blog and her own. Step 1: Combine all of the ingredients in a blender. Blend on high until smooth. Serve immediately.